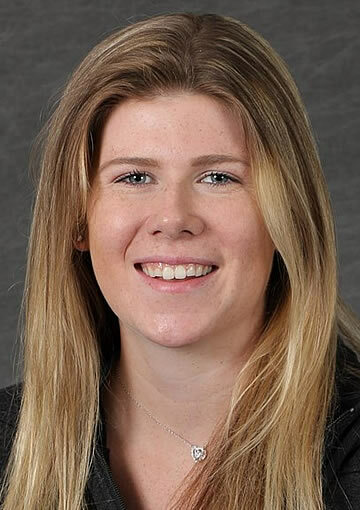 BLOOMINGTON, Minn. – Oct. 2, 2018 – Impressive efforts were aplenty in the women’s Western Collegiate Hockey Association (WCHA) on opening weekend of the 2018-19 season, highlighted by the WCHA Players of the Week, Powered by GoodWood Hockey: University of Wisconsin redshirt-senior Emily Clark (Forward of the Week), University of Minnesota junior Patti Marshall (Defenseman of the Week), University of Minnesota Duluth redshirt-junior Maddie Rooney (Goaltender of the Week) and Minnesota State University freshman goaltender Abigail Levy (Rookie of the Week). The quartet was honored for the games of Sept. 28-30, 2018. 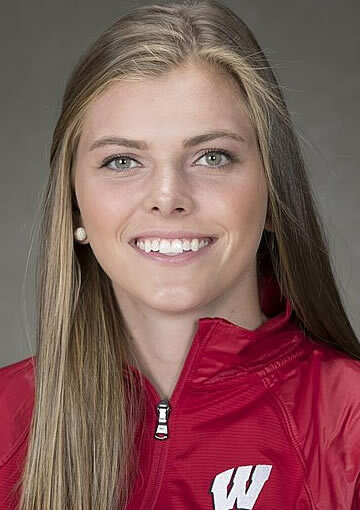 In her first series back for Wisconsin after skating for her native Canada in the 2018 Winter Olympics, Clark showed why she is one of the top offensive players in college hockey. The redshirt-senior scored the game-winning goal in the Badgers’ 3-2, season-opening win over Lindenwood, before earning a three-point game in UW’s 6-0 victory Saturday. Clark’s power-play goal in the second period Friday broke a 2-2 deadlock in favor of the second-ranked Badgers and was her 21st career game-winning goal, which is tied for fourth in school history (seventh in WCHA annals). Her three goals and four points on the weekend both tied for tops in the WCHA and NCAA. This is Clark’s sixth career WCHA weekly award. Honorable Mention: Ryleigh Houston, Jr., Minnesota Duluth (tied for the NCAA lead with three goals, including two on Friday, sparking the now-No. 4 Bulldogs to a sweep of then-No. 4 Boston College); Rebekah Kohlstad, Sr., Minnesota State (Mankato native scored her first career game-winning goal Friday and assisted on the tying marker Saturday, helping the Mavericks sweep RPI); Emma Maltais, So., Ohio State (2017-18 WCHA Rookie of the Year picked up where she left off, tying for the NCAA lead with four points on a goal and three assists as the now-No. 5 Buckeyes earned a road sweep at Quinnipiac); Grace Zumwinkle, So., Minnesota (set up the third-ranked Gophers' first goal of the year Friday and scored twice Saturday, including the game-winner, in a sweep of No. 10 Mercyhurst). Marshall excelled on both ends of the ice as No. 3 Minnesota opened its season by sweeping No. 10 Mercyhurst. The junior tied for the WCHA blue-liner lead with three points (1g-2a) and seven blocked shots, while her +5 rating topped NCAA defensemen. Marshall scored the Gophers’ first goal of the season Friday, evening the score 1-1 in an eventual 4-2 win. She then added a pair of assists in game two, helping set up a 5-0 Minnesota victory. This is Marshall’s second career WCHA weekly award. Honorable Mention: Sophie Jaques, Fr., Ohio State (picked up an assist, led the team with nine shots and posted a +4 rating as the now-No. 5 Buckeyes swept Quinnipiac); Nicole LaMantia, Fr., Wisconsin (tied for the NCAA rookie lead with three assists, including the helper on Friday's game-winning goal for the No. 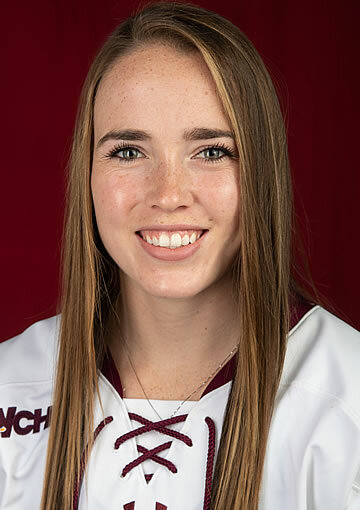 2 Badgers); Kailee Skinner, Fr., Minnesota Duluth (tied for the NCAA rookie lead with three assists, including two on the power play and one on Saturday's game-winner, helping the now-No. 4 Bulldogs sweep then-No. 4 Boston College); Anna Wilgren, Fr., Minnesota State (collected an assist Saturday, then her first collegiate goal was the game-winner Sunday, leading the Mavericks to a sweep of RPI). Rooney, one of the heroes as Team USA won gold at the 2018 Winter Olympics, returned to the UMD net and promptly picked up a WCHA-best 51 saves to help the Bulldogs sweep then-No. 4 Boston College. The Andover, Minn. native made 25 saves in Friday’s season-opening win, then turned aside 26-of-27 shots in a 2-1 triumph Sunday. Thanks to Rooney’s outstanding .944 save percentage, while facing a league-high 54 shots, Minnesota Duluth jumped from No. 9 to No. 4 in the national polls. This is Rooney’s third career WCHA weekly award. Honorable Mention: Kristen Campbell, Jr., Wisconsin (ranked third in the WCHA and seventh nationally with a 0.60 GAA, picking up both wins as the No. 2 Badgers swept Lindenwood); Sydnee Scobee, Jr., Minnesota (posted a 17-save shutout in her first Minnesota appearance, earning the 6-0 win as the No. 3 Gophers finished off a sweep of No. 10 Mercyhurst); Amanda Zeglen, So., Ohio State (stepped seamlessly into the starting goalie position, making 38 saves as the now-No. 5 Buckeyes swept host Quinnipiac). The only freshman goaltender in the country to earn a win on opening weekend, Levy notched two – helping Minnesota State to its first home series sweep since 2016. The rookie from Congers, N.Y. played all but two seconds in net and ranked third among NCAA netminders that made two starts with a 0.50 goals-against average and a .977 save percentage (42-of-43). One of five goalies nationally with a shutout, Levy made 22 stops for a 2-0 shutout of Rensselaer in her collegiate debut Saturday. She then saved 20-of-21 shots in a 3-1 victory Sunday, becoming the first Maverick to win her first two decisions of a season since Alli Altmann did so in the 2011-12 campaign. Honorable Mention: Sophie Jaques, Fr., Ohio State (picked up an assist, led the team with nine shots and posted a +4 rating as the now-No. 5 Buckeyes swept Quinnipiac); Nicole LaMantia, Fr., Wisconsin (tied for the NCAA rookie lead with three assists, including the helper on Friday's game-winning goal for the No. 2 Badgers); Amy Potomak, Fr., F Minnesota (scored her first collegiate goal in a 4-2 win Friday and had an assist Saturday, finishing the No. 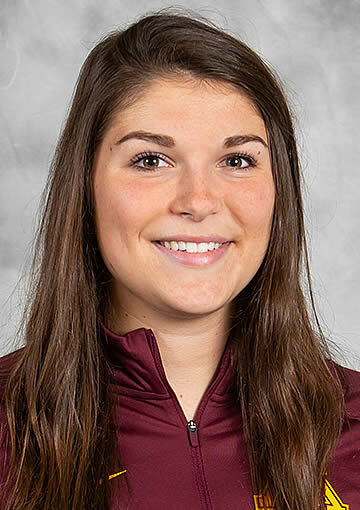 3 Gophers' sweep of Quinnipiac with a +4 rating) Kailee Skinner, Fr., Minnesota Duluth (tied for the NCAA rookie lead with three assists, including two on the power play and one on Saturday's game-winner, helping the now-No. 4 Bulldogs sweep then-No. 4 Boston College).